How Can I Avoid Scaffolding Accidents? Avoiding scaffolding accidents includes having firm and stable places to stand. Weather conditions can have a significant effect on scaffolding safety. Scaffolding workers must not be fearful of heights. 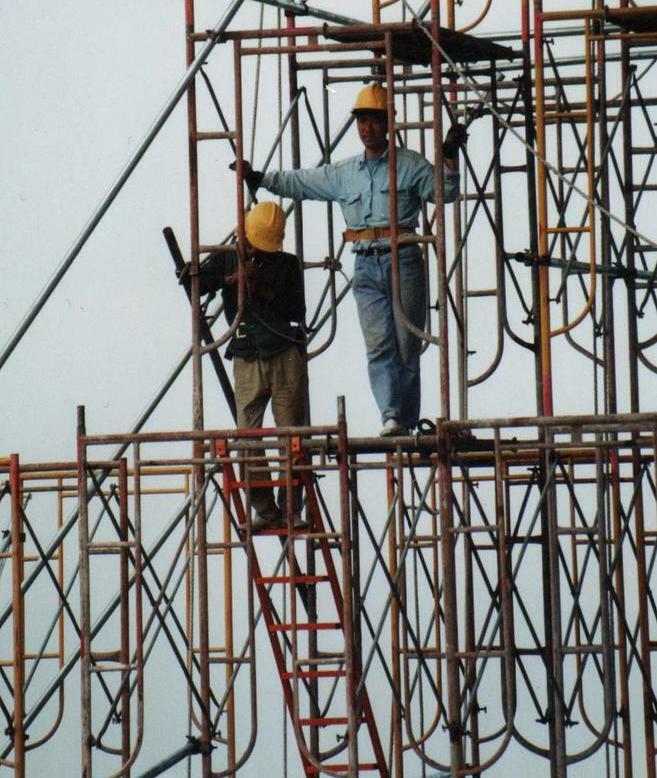 Scaffolding, structures used during construction and maintenance projects to support workers and equipment, can be quite dangerous if used incorrectly. Scaffolds are often quite tall, and they are made to be temporary structures, so they tend not to be completely stable. 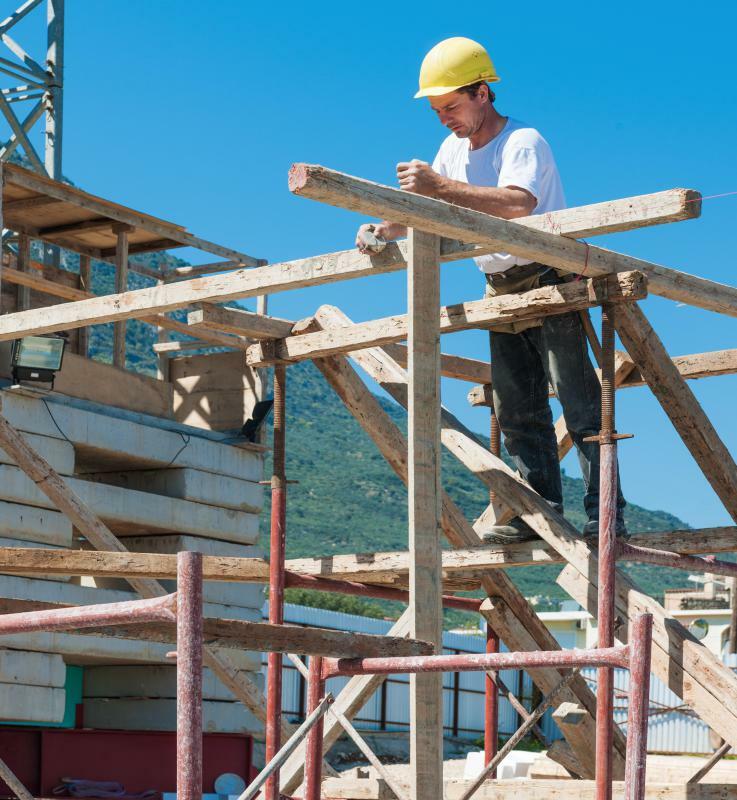 To avoid scaffolding accidents, it is extremely important to construct the scaffolding properly, as omitting any supports or failing to firmly attach any of the parts can easily lead to accidents. Even properly-assembled scaffolding, however, cannot protect against human misuse. 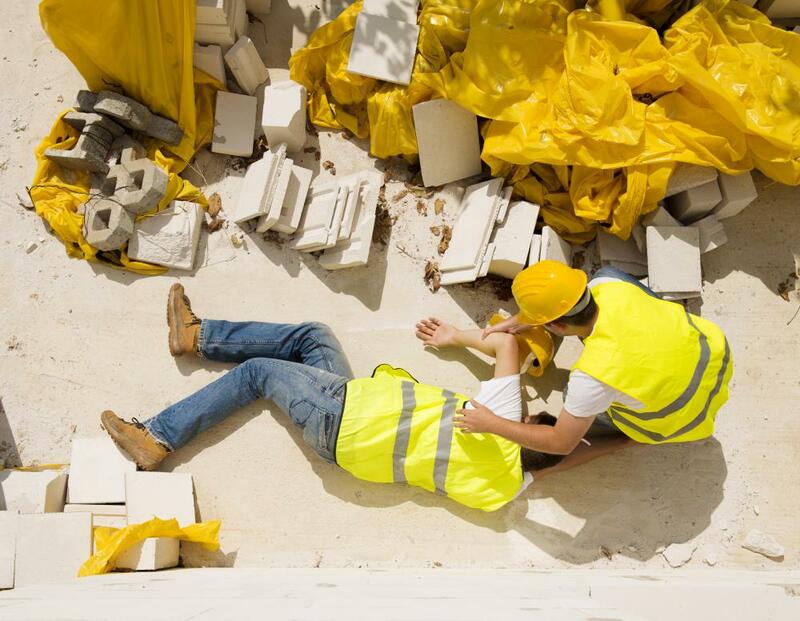 The most important part of avoiding scaffolding accidents is always making sure to have firm and stable places to stand and on which to hold. 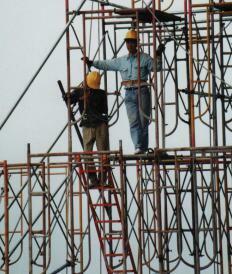 Proper assembly of scaffolding is the first major step in avoiding scaffolding accidents. Scaffolding is made up of frames, platforms, brackets, and supports that all must be used properly to ensure that the scaffolding has sufficient stability and load-bearing capacity. Bent or otherwise damaged frame or support components can severely compromise the structural integrity of scaffolding and increase the risk of scaffolding accidents. It is also important to check the condition of the platforms, which are often made of wood. Split or rotting wood can break if sufficient force is applied, so it is essential that the platforms are in good condition. Using scaffolding properly is another essential part of avoiding scaffolding accidents. In general, particularly when climbing scaffolding, one should try to maintain three points of contact to the scaffold or to some other stable support. Firmly placing two feet and a hand on sturdy surfaces, for instance, places one in a very stable position and reduces the risk of falling or losing balance, while still leaving one hand available for work. When this is not possible, ropes, other supports, or additional people can be used to help provide stability and balance. Weather conditions can have significant effects on scaffolding safety as well, as wind, rain, and ice can all present substantial dangers. High winds can cause scaffolding accidents by blowing down scaffolds, removing platforms, or blowing people or equipment off of platforms. Rain and ice can both make scaffolding platforms, which often have relatively smooth surfaces, very slippery, thereby increasing the risk of scaffolding accidents from slipping. One should, if possible, avoid the use of scaffolding during such weather conditions. If that is not possible, one must take the utmost care to remain stable and balanced in order to avoid accidents. How Do I Choose the Best Scaffolding Courses? What Is a Scaffolding Ladder?